Dreaming of your next big adventure or summer escape but getting overwhelmed at the thought of packing? 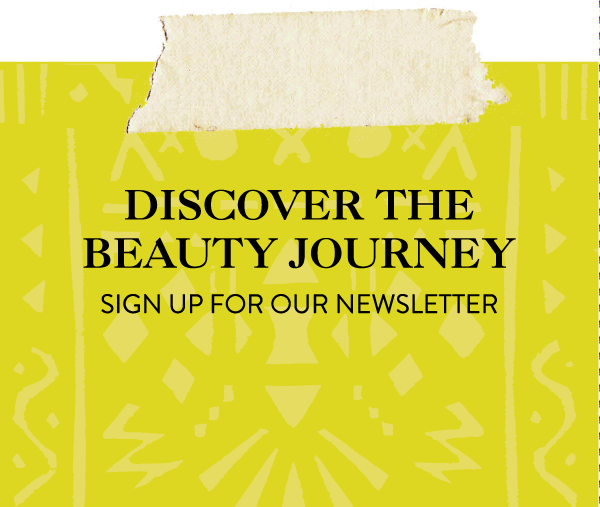 Let Around The World Beauty help! Here we’re sharing our travel packing list musts for your next journey; abroad or local! We hate over-packing. Why? Well, we usually travel far distances to remote locations, all on planes, trains, boats, cabs, and more. When you’re travelling that far and switching modes of transport that much, overpacking will get you in a lot of trouble. I’ve had friends pay double for flights just to accommodate their luggage. Only to find out they can’t board due to weight restrictions. To pare down, you need to focus on the necessities. But that doesn’t mean you can’t bring helpful products and your beauty musts. We hope you enjoy our list and find some helpful new products to take you from an overweight checked bag to a carry on. Happy Travels! Nomad Lane The Bento Bag: This bag has thought of everything. It’s a lightweight personal item bag that charges your phone, fits under the seat, and has a pocket for everything. I am absolutely crazy for this bag because it keeps everything so organized and compartmentalized, and makes it easy to ditch the checked bags. BaByliss PRO Nano Titanium Prima3100 1″ : If you’re going to bring a hair styling tool, make sure that it is versatile. This little tool is a hair straightener that doubles as a curling iron. When it comes to hair styling, less is more. With this one tool, you can do so many looks, from bouncy waves to straight sleek locks. It’s great to have a reliable source of heat, so you can just let your hair air-dry and style for your night outs. Urban Decay Born to Run Eyeshadow Palette: No matter where you’re going, this all-in-one Born To Run palette is insane. It has 21 eyeshadows easily easy create any look from bright to bold. It fits into any bag and works wonders. If you’re going to pack any eyeshadow palette, pack this! Nyakio Maracuja and Yangu Soothing Travel Size Oil: This is one powerhouse product. I use it as a makeup remover, skin moisturizer and for all things beauty. From head to toes, you can use this oil to stay feeling fresh while traveling sky high. I love massaging this oil to massage onto my skin while I fly — my skin soaks it right up and makes me ready for anything by the time I land. It also works as a Color-corrector to reduce the appearance of redness with a natural green tint. It’s great for using alone or under makeup. T-Mobile Plans: Skip international plans that charge crazy fees for when traveling abroad. I opted for a T-mobile plan that works worldwide and includes free text, and wifi. My Google-maps are my lifesavers when traveling and being with a reliable plan that allows me to #GetOutside is crucial. Switch over NOW! Loop World Adapter Plug: No one wants to run out of power while traveling. Carry a good world adapter plug like this and you’ll always be charged up. This one charges in 150+ countries, and can charge up to three devices at the same time — consider it the Swiss Army Knife of Travel Adapters! Get powered-up faster without the hassle of multiple chargers and cables. JOY Travel-Sized Better Beauty Case: On the go? I love using this beauty case to separate my travel undies, bras, and cosmetics. I can just roll up and toss into my luggage. It has detachable zippered compartments which makes it easy to grab things, and also super neat. It is super convenient and a definite travel must. DOVE Invisible Dry Spray Clear Finish Antiperspirant:This antiperspirant deodorant is invisible and leaves no white marks on 100 colors of clothing. I love this spray because its easy to spray on and also share. When traveling, I want to worry less about sweating and more on adventure climbing. LASHFOOD PHYTO-MEDIC LASH ENHANCER: Save space in your bag and time in your beauty routine by ditching your eyelash curlers, mascara, and falsies on vacation. Instead, start using a lash enchancer like LASHFOOD in the months before your trip to grow fuller, longer lashes. LASHFOOD is the world’s first and only Eco-certified lash-enhancing serum. Its breakthrough formula is clinically proven to boost longer, thicker lashes, and to support brittle lashes to appear healthy. It delivers nutrients to feed lashes with herbal extracts clinically proven to prevent hair loss and trigger regrowth of lashes. Nad’s Facial Wax Strips: In my daily life, noticing a few stray hairs and tweezing them away is part of my daily routine, but I just can’t be bothered with hair removal when travelling. I’m meeting new people everyday and I don’t want to be caught with a mustache! These little strips make hair removal a breeze and make it so I don’t have to worry about it on my trip. I always pop two or three strips in my bag just in case a stray patch pops up — they’re so easy to pack! A long scarf from World Market or Marshalls: Anyone that knows me understands my obsession with World Market and Marshalls. Before any trip, I do a quick shopping trip to stock up on my hippie prints, and global accessories. My one go-to for when traveling is a long scarf. I use it when I get cold, need a pool cover, headwrap and everything in between. I’ve even used it as a blanket in sketchy hostels with not enough blankets. Bring a scarf and I promise you won’t regret it! Freedman Dry Shampoo: The Original Dry Shampoo is my go-to secret to skipping shampoos and extending style while traveling. It absorbs oil, sweat and anything that comes my way. I love that it takes my hair from dirty, flat and matte, to refreshed and revived in a matter of minutes. No water required: just spray and go! I also love that it comes in a cute travel size. Olly Bars: Healthy snacks are a must when traveling. Get your daily dose of protein in a delightful bar that actually tastes indulgent. OLLY Bars are high in plant-based pea & soy protein and low in calories and sugar making them a healthy, travel-friendly snack for all your summer getaways. Rich with whole grains (rolled oats & quinoa) and seeds (flaxseed, chia seed & almonds), OLLY Bars will keep you fuller longer and fill in for last minute cravings. 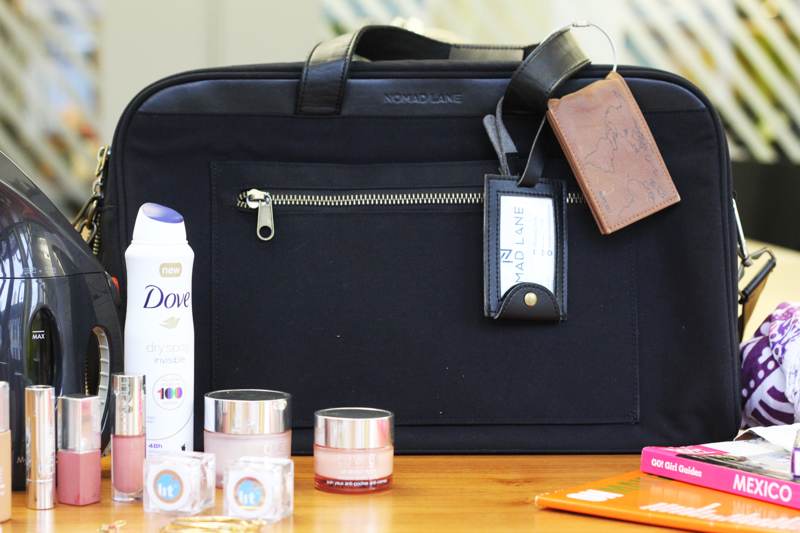 Get Packing and make sure to share your beauty adventures with us by tagging #BeautyTraveler! !